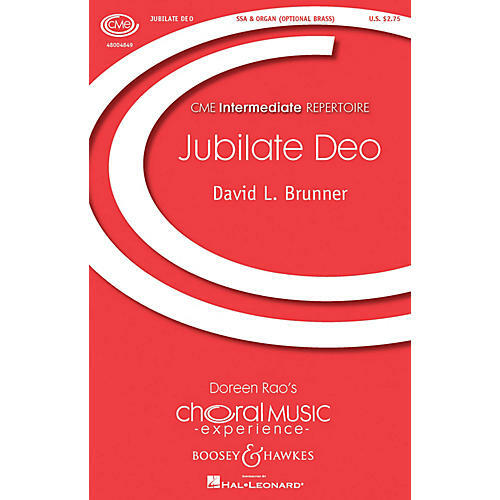 The Jubilate Deo text is from Psalm 100. This festive setting uses only the first three verses, both in English and in Latin, with organ accompaniment. Duration: ca. 3:10. Instrumental parts available separately (Trumpet 1-2, F Horn, Trombone, Tuba): Item #48001621.